My special guest for this episode is Chelsea Peitz. She’s the National Director of Social Sales at Fidelity National Financial. I saw Chelsea speak at a recent conference by Commissions Inc. and was so impressed with what she presented around the psychology of why social media is such an integral part of most of our lives and how we communicate communicate and engage today. I just had to have her on to talk about this. 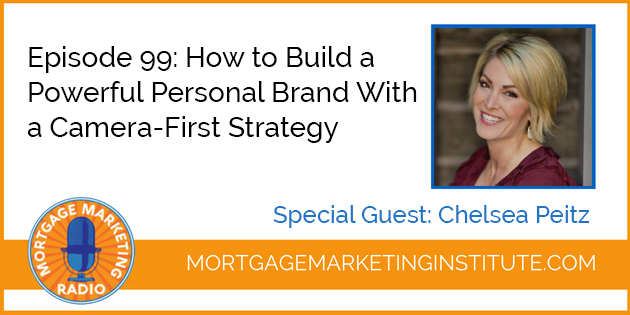 Chelsea is going to talk about how to build a personal powerful, personal brand with a camera first strategy. So if you haven’t gone all in on video and images on social media yet, you’re going to understand why it’s so impactful for your business. Chelsea also one of the selected speakers at the Gary Vaynerchuk @Agent2021 event which I will also be speaking at. It’s happening on January 17th and it’s in Miami at the Hard Rock stadium. For more details about that event go here. What Does “Camera First” Mean?